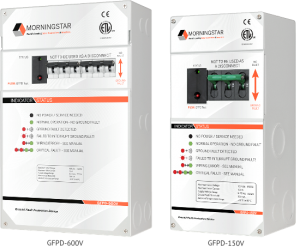 Morningstar’s (TS-MPPT-600V) Charge Controller builds on previous application experiences and our 20+ years of power electronics engineering excellence, to deliver the best controller solution for stand-alone or back-up system installations. It uses advanced power electronics to efficiently convert up to 600 Voc (open circuit voltage) PV for 48 or 120 Vdc battery systems. 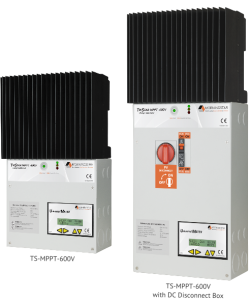 The TS-MPPT-600V features an advanced internal processor and utilizes Morningstar’s patented TrakStar™ Advanced Maximum Power Point Tracking Technology to harvest the maximum power from the solar array’s peak power point under all operating conditions. This high-speed processing technology and sweeping methodology enables the TS-MPPT-600V to sweep from the battery voltage to the Voc of the array faster than any MPPT charge controller on the market today—faster than 1/10th of a second. Delivers the industry’s best-in-class power efficiency. Uses Morningstar’s patented 4-stage charging algorithm to optimize battery health. Features extensive system networking, monitoring and communications. Environmentally optimized and equipped with extensive electronic protections. Offers superior lightning protection from nearby lightning-induced voltage and current spikes. Engineered with a robust thermal and mechanical design to deliver the highest reliability and excellent performance.